On any holiday, one of the best aspects is discovering new dishes, flavours, and sensations at the local restaurants and bars. In some places, the food can end up being the very best part of the holiday, giving you new ideas for recipes to try out in your kitchen at home. Holidays with the sole purpose of trying new food and learning how to cook a new cuisine, or ‘food trips,’ have become very popular over the last decade or so, with people seeking culinary excellence and some new tastes for their palate. So, we’ve scoured the world to find some of the best places to learn to cook the local delicacies as well as the best places to discover the flavours of the world. Some are set in the food capitals of the world, while others are a bit more off the beaten track to offer a truly unique experience. For a one-off payment, you can learn the life skill of cooking a new cuisine while learning the local secrets behind the food and flavours. These cooking schools situated all around the world offer exclusive looks into the culinary traits of the area as well as give you a focussed class on how to master the art of the local chefs. If there’s one cuisine which has taken the world by storm, it’s Mexican. Tacos, enchiladas, nachos, chilli con carne, and guacamole have proven to be very popular in many countries, but most aren’t made the way that Mexico intended. 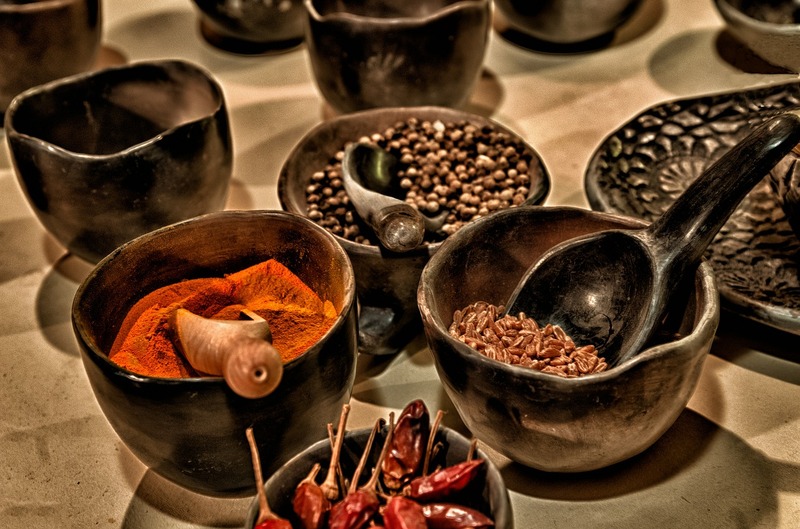 At Los Dos, you can learn how to cook the greatest dishes of Mexico in an eight-hour class for $200 (€174, £153) that includes the cooking class, a market tour, an introduction to the culinary history and ingredients used in Mexican cuisine, a souvenir apron, and recipe book. Each class hosts a maximum of six people, taking place from 9:00 am to 4 pm on Tuesdays and Thursdays. As one of the most famous regions in France for fine wine and exceptional food, American journalist Patricia Wells found Provence to be the perfect place to set up her cooking school. With cooking classes, tours of the area, tasting sessions, and dinners, the exclusive school takes place four times a year – twice in June and twice in September – costing $6,000 (€5,233, £4,601) per person. Over the course of a week, Patricia Wells will teach her eight selected students everything that they need to know about the food in Provence, how to cook as the locals do, and gift a personalized apron and 50-recipe cookbook. 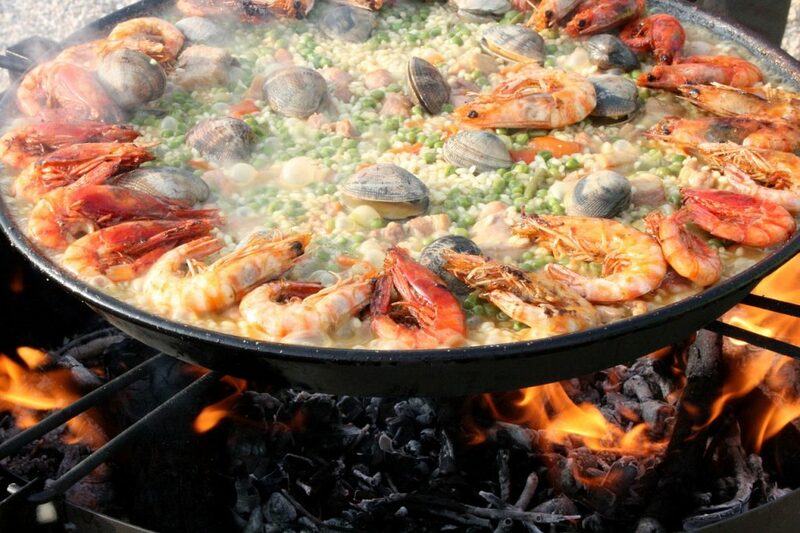 People can sometimes mistake Spanish food as being lazy as it’s quick to cook and serve, but it takes a lot of knowledge and preparation to produce their fine, flavorsome dishes. 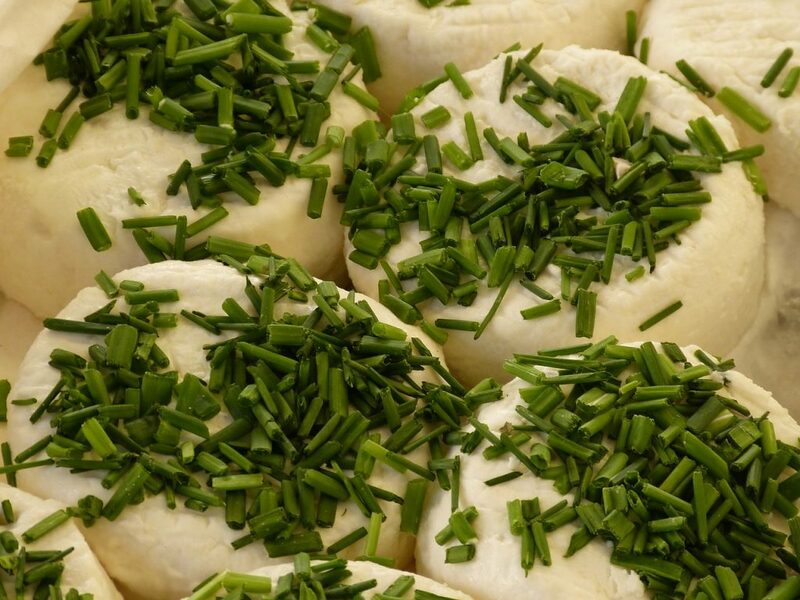 In the Spanish capital of Madrid, the cooking school at the Torrijos market will show you the secrets behind many traditional Spanish dishes as well as give a tour of the market to show you the best ingredients to get. Classes take place Monday to Friday from 12:00 pm; they are three-hours long, £62.58 (€71) per person, with group sizes not exceeding ten people. 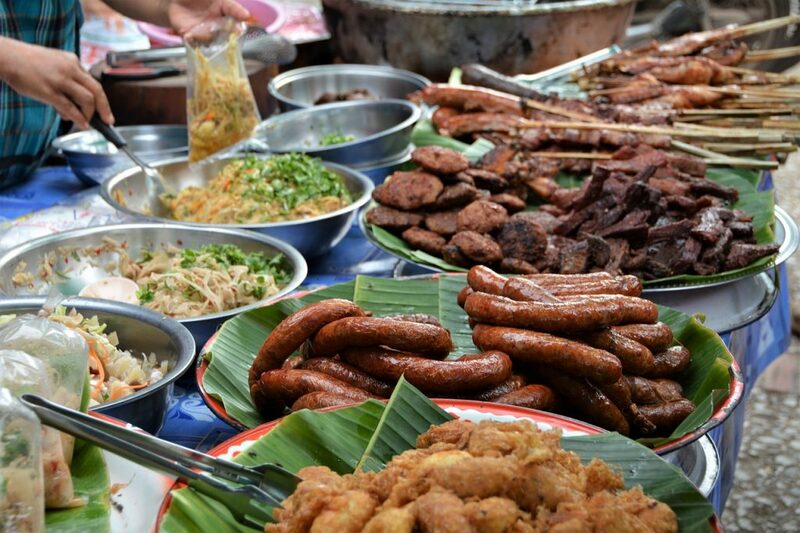 The landlocked nation of Laos has not been able to show the world its grand, unique cuisine in a way that its neighbours Thailand and Vietnam have. In fact, a common misconception is that Lao food is simply the same as Thai food. This is a common and incorrect misconception which the Tamarind cooking school is determined to fix. The full-day class from 9 am to 3 pm – or 4:30 pm to 8:30 pm for the slightly reduced evening class – costs ₭285,000 (£26, €30) from Monday to Saturday and includes a tour of the market, transport, and a cookbook. All over the world, huge cities have attracted restaurants and top chefs from across the globe, making them hotspots for food lovers. However, for the authentic experience, it’s best to venture to the homes of the cuisines, tasting the flavours at their source. Surprisingly, Paris doesn’t boast the most Michelin stars – that honour goes to Tokyo, Japan – but with over 100 restaurants having been awarded a Michelin star, it’s hard to dispute Paris as being a food capital of the world. The French capital does, however, host the most restaurants with three Michelin stars with ten top-rated venues, including Guy Savoy, Astrance, L’Ambroisie, and Le Pre Catelan. The city is incredible without all of these elite-level eateries and has become to go-to place for those seeking the very best French cuisine and fine dining. For a more affordable Michelin starred experience, check out Les Fables de la Fontaine, Septime, or Garance. Italian is one of the most popular cuisines in the world, with their pasta dishes being the basis of many diets in the western world, but, nothing compares to having Italian food cooked by Italian chefs in Italy. 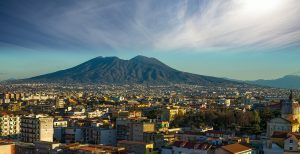 The most iconic dish to come out of Italy is the pizza, and Naples is the pizza capital of the world. While many restaurants claim to be the very first pizzeria, the most commonly accepted contender to this claim is Antica Pizzeria Port’Alba, which opened as a pizzeria in 1830. But, there are many other great venues to try out as well, including Sorbillo, Carminiello, and Pizzeria Napoli Tutino. 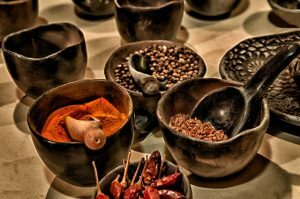 Very few people know what African cuisine entails, and those that think they know often make the mistake of thinking that the whole continent has the same cuisine. 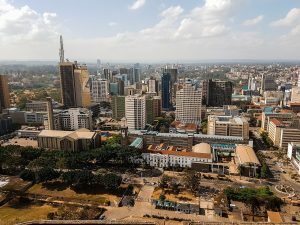 To get a great taste of East Africa, head to the capital city of Kenya, Nairobi, as it has a buzzing restaurant scene. While the safari parks and lodges are the main attractions for many, the flavours and food sensations presented in Nairobi are something very special indeed. If you’re a fan of fish, check out hidden gem Mama Oliech Restaurant in the capital. The big freshwater fish caught from Lake Nakuru are the speciality, deep-fried whole and served alongside some classic Kenyan sides, such as ugali (a maize meal) or kachumbari (originally from Mexico but enjoyed in Kenya as a spice and vegetable side). Another speciality of the nation is nyama choma (grilled meat), which is often goat or beef cut into appetising chunks. 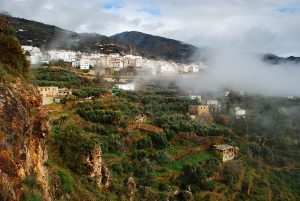 A quiet town nestled just beneath the western-most part of the Sierra Nevada national park, Lanjaron offers a wide range of restaurants, cafes, and bars to indulge in as well as being famed for its dried meats and Museo de la Miel (honey museum). Eateries line the streets, with the town booming to life in the late evening when the temperature cools. The best distinction for the range on offer in Lanjaron is along the street that overlooks the beautiful Parque Manantial Capuchina. Up the hill sits Restaurante Asador Parque which boasts the menu, food, service, and aesthetics of a fine dining experience, but at rather reasonable prices. About two minutes down the road is El Balcon de Lorca, which is a more traditional and social restaurant featuring exciting Spanish delicacies. For an ‘old Spain’ experience, venues like El Balcon de Lorca are where you want to go, but for a more upmarket feel to your evening, the likes of Restaurante Asador Parque are the way for you. Whether you want to try new and exciting food or add another cuisine to your cooking repertoire, there are places all over the world vying to share their culinary greatness with anyone who has a passion for food.